Dr. Ochoa's interview on KZSU, Stanford was broadcast on February 20, 2013 and is available from this link. Dr. Ellen Ochoa is current director of NASA's Lyndon B. Johnson Space Center. Dr. Ellen Ochoa is also an inventor and holds 3 patents. Before becoming an astronaut, Dr. Ochoa worked at Sandia National Labs and NASA Ames Research Center where she developed optical recognition systems, computer hardware, and robots. Dr. Ochoa got her MS & Ph.D. in EE from Stanford University. Dr. Ochoa will be at Stanford for Stanford Women in Space, a special event hosted by the Stanford Historical Society. Tune in for Exciting News from Space! 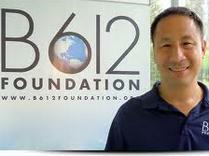 ​also serves as the Director of the Stanford Center of Excellence for Commercial Space Transportation. Stanfod's Center of Excellence for Commercial Space Transportation co-sponsors Space Entrepreneurial events. The first event in 2013 is the Stanford Space Entrepreneurial Forum on February 1, 2013. ​At NASA, where Pofessor Hubbard had a distinguished career, he was known as the 'Mars Czar'; his recent book tell us why. The book is "Exploring Mars: Chronicles from a Decade of Discovery". Professor Hubbard's interview will be broadcast on KZSU in February 2013. STS-84 in 1997 which transferred 3,318 kilograms (7,310 lb) of water and logistics to and from the Mir. STS-106 in 2000 the crew transferred more than three tons of hardware and supplies to the International Space Station. ISS Expedition 7 where he spent 6 months as flight engineer in space; his only other crew member was Russian cosmonaut Yuri Malenchenko. 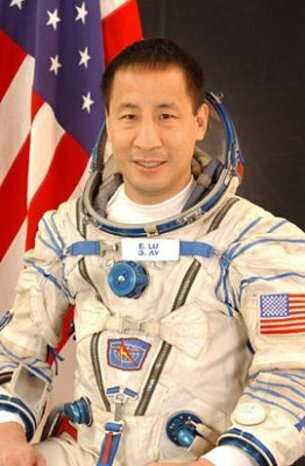 Dr. Lu is Chairman of the B612 Foundation, a nonprofit organization that aims to build, launch and operate the first privately funded deep space mission: a telescope to be placed in orbit around the Sun. The telescope will map our inner solar system to better track the trajectories of Earth-crossing asteroids. The goal is to reduce the risk of catastrophic collisions as happened in 1908 in Tunguska. Dr. Lu did his undergraduate work in EE at Cornell University and received his Ph.D. in Applied Physics from Stanford University. Our Interview with Dr. Lu will be broadcast in March, 2013.
have delivered more than 250 satellites to government and commercial customers. In 1989, SSL was honored by a visit from President George Bush and in this show we included parts of President Bush's talk at SSL (courtesy of President Bush's Library and Museum). We interviewed Mr. David Bernstein, SSL's Senior VP for Program Management and Ms. Wendy Lewis, Communications Director at SSL. Mr. Bernstein discussed how satellites are designed, manufactured, assembled, tested and launched. We also talked about how technology has changed the satellites industry and we found out why satellites orbit in the geostationary belt in space. Mr. Bernstein gave us some examples of the new satellites that SSL is building for its customers around the globe. We also found out how students can apply for internships and how schools can participate in SSL's educational outreach program. This interview will be broadcast on KZSU on July 1, 2015 and is available from this link. KZSU interviewed Dr. Tammy Jernigan, one of the 8 Stanford women graduates who joined NASA's Astronaut Program. At NASA, Dr. Jernigan flew on 5 space missions between 1991 and 1999 - totaling 63 days in space. After leaving NASA, Dr. Jernigan joined Lawrence Livermore National Lab. In this interview, Dr. Jernigan talked about her time at Stanford, why she joined NASA, how she trained to become an astronaut, her interest in education, how to improve science education, and she also had some advice for students who would like to join NASA as astronauts. The interview was conducted by Professor Marco Pavone, Stanford Professor of Aeronautics and Astronautics and director of Stanford's Autonomous Systems Lab. ​KZSU will broadcast this interview in June 2018; the interview is available from this link.